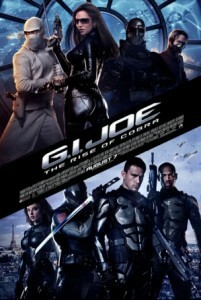 ‘GI Joe: The Rise of Cobra’ is one of those awful films that quite frankly is a waste of time to review. Beware, it’s bad, yes. But the problem is that we all know this already before seeing it, so why bother reviewing it? In fact, why did I bother to see it? Well it had a $54 million opening weekend and is probably on coarse to grossing $140 million American dollars or more. So there is apparently an audience for this thing, a movie which makes the ‘Transformers’ sequel appear to have a shot at snagging a Best Picture nomination at the Oscars next year. Having seen the movie yesterday, I’m having trouble regurgitating the plot already. As I recall, the movie revolves around two American soldiers (Channing Tatum, Marlon Wayans) in a military unit protecting a government case of some sort that contains nanomite weaponry. Nanomites are programmed bugs controlled by computer that consume metal by way of an encompassing green mist. The military unit protecting it is thwarted by a band of assassins and another secret military group of super-soldiers known as ‘Joes.’ Tatum and Wayans are the last two left from the mission and somehow find themselves thrust into the Joes training program where they wish to retrieve their weapons and exact revenge. As if the plot wasn’t enough to scare you off, the cast and the dialogue totally mar this movie. It is ugly and embarrassing. Watch any exchange between any of the cast. If you’re not howling, I applaud you. The sad thing is the movie has Dennis Quaid, Joseph Gordon-Levitt, and even up-and-comer Channing Tatum–so it shouldn’t be quite as atrocious as it is. And dare I say, Quaid is the worst of the bunch. I have a hard time believing he had any preparation or even read a page of the script before the first day of filming. The film also has some cringe-worthy flashbacks and subplots. The opening of the film is so unbelievably mind-boggling as to why the resources and sets were created for that particular scene which really has no impact in addressing the proceedings of the individual character it is setting up. What a waste of screen time. But it doesn’t end there. Flashbacks of two ‘sibling’ opposing assassins come to life as well, setting up a laughable showdown between the two in the film’s climax. But there’s still more. It got to the point where every time the subtitle ’20 Years Earlier’ popped up onscreen, I was rolling my eyes and laughing out loud. I won’t even dare ruin the hilarity of the relationship of Channing Tatum’s character, Duke and his ex-fiancee assassin character. Wow. This movie apparently cost $175 million. Where it went? To a lot video game-esque CGI that at times looks awful, others decent. Nonetheless, this movie is wall-to-wall action throughout. But it’s dopey action. Cheesy action. 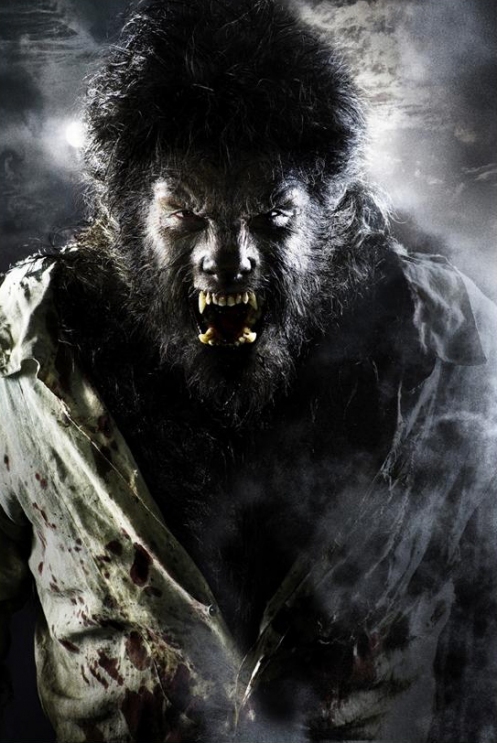 Role your eyes and howl at the screen action. 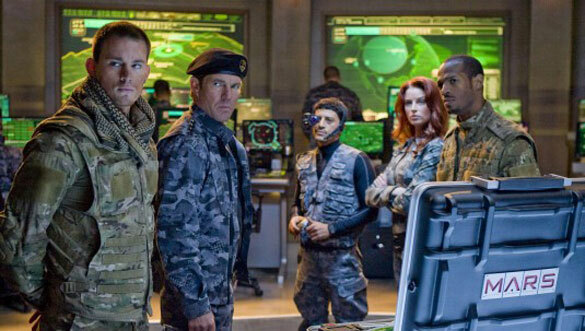 I can admit that the Paris sequence involving a chase of Marlon Wayans and Channing Tatum in what looks like real-life Halo gear was kind of fun– a loud, crunching, explosive scene. To be fair, there’s a lot of explosions, and loud crunching sound throughout the movie, but this was the only particularly involving scene for me. Then the dialogue ruins it, but oh well. This is a Stephen Sommers film, and while I can appreciate ‘The Mummy’ and ‘The Mummy Returns,’ at heart he’s a hack filmmaker making adventure films for kids. And that’s exactly what this is–a hack script with a studio backing millions of dollars for continually shoddy special effects. I will say if I were six years old, this film would’ve been a real treat. But I couldn’t cave in on the pure stupidity of this production like I could with ‘Transformers,’ another Hasbro inspired blockbuster. Yes, this movie was so awful that at the end of the day, I have to wonder which surprised me more: The fact that Sommers found a way for ‘Mummy’ stars Brendan Fraser, Arnold Vosoloo, and Derrick O’Connor to all make their way into this movie? 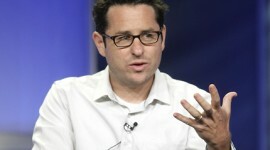 Or that his villain laughably rips off Darth Vader in the end?